Want to learn how to meditate? You’ve come to the right place! 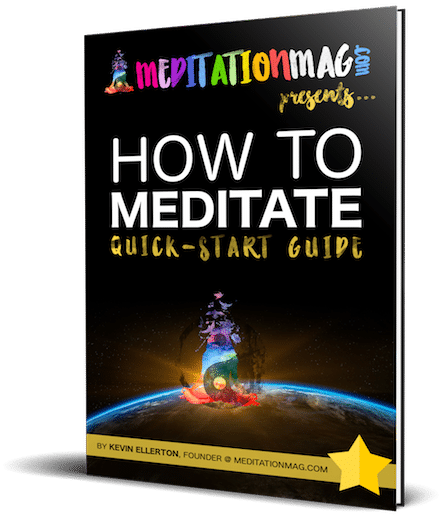 While MeditationMag is overflowing with articles about meditation, the purpose of this site — and the reason it was founded — is to help people learn how to meditate. In finding this page, you’ve stumbled into the true heart of MeditationMag.com. Meditation can help you in ways that you literally cannot imagine before you experience it for yourself. It almost seems impossible… like there’s some global conspiracy of scientists exaggerating their results, getting paid under the table by the greedy meditation lobby. How could one simple exercise improve basically every single area of your life, from your physical body to your immaterial mind? The answer is… these benefits are all just side effects that come from the real benefits of meditation. Meditation is kind of like doing a hard reset on your computer. When the computer boots back up, all your apps run faster. The operating system runs smoother. The body of the computer doesn’t get so hot. The fan doesn’t have to work so hard, so the computer doesn’t make as much noise. Even Instagram loads faster for some reason. Restarting your computer can fix all kinds of random problems, and make the whole experience feel much better. Meditation is kind of like that. It refreshes your system and makes your whole life work better. TL;DR: Meditation is ! @#$ing amazing. By quieting your mind, you give your brain a much needed chance to rest. You wouldn’t run around all day every day and expect your body not to get tired and lethargic. Why would you expect your brain to function perfectly forever without ever giving it a break? Even when you’re sleeping, your brain is active (dreaming, etc). A short meditation can be even more deeply restful for your brain than an hour of sleep. This deep rest is the source of many benefits of meditation. When your brain relaxes, your mind relaxes. The incessant thinking quiets down, and you can hear the deep thoughts that are actually important for your life, rather than the white noise that clouds your mind on a daily basis. You start to see the big picture instead of the little nit-picky details. This mental clarity is at the root of many of the psychological benefits of meditation, like decreased OCD, anxiety & ADHD. By paying attention to your experience of life as it is happening, you start to become more aware of what’s going on in your body and mind. This kind of self awareness can help you gain more control over your mind and your body. This enhanced control is completely natural, but it can appear, from the outside, to give you almost superhuman abilities. It’s kind of like the way that a professional athlete, who practices paying attention to her movements, has more control of her body than the average human. Through meditation, we pay close attention to the body and mind, and end up having more control of ourselves than the average person. Self awareness is at the root of many of the benefits of meditation, including enhanced mindfulness, reduced clumsiness, increased ability to focus, etc. By paying attention to what’s happening in the present moment, you gain more awareness of (and control over) your environment. It’s like the zen master who can catch a fly with his chopsticks. You won’t necessarily be able to pull of that specific trick (nor would we recommend endangering the welfare of a fly), but at least you won’t get hit by a car when you’re absent-mindedly crossing the street. Being present means that you’ll be much more in tune with what’s going on around you, which is important for your physical safety, but also very helpful for being successful in life. You’ll find that you’re more graceful in your movement through the world, and better able to handle all kinds of situations that arise. Whether it’s a physical situation (like driving a car) or more of a psychological one (navigating relationship issues, workplace politics, building a company, etc), being more aware of your environment brings a wide host of benefits. By cultivating deep states of concentration, you begin to experience “spiritual” states, like ecstasy, bliss, radiant love, and a realization of Oneness with the Universe. In order to understand why concentration leads to these kinds of powerful experiences, it’s helpful to think of what the word “concentration” actually means. Concentration means “collecting to the center.” In meditation, concentration means that you’re collecting all of your scattered mental energy and gathering it to a central point (here & now). Concentration intensifies whatever it’s collecting. Concentrated orange juice, for example, has a much stronger taste than regular orange juice. Concentrated mind has a much stronger consciousness, and much stronger experience, than regular mind. When you have an intense, concentrated experience of this moment, it intensifies the experience of being alive, existing, and being here & now in this place and time, in this incredibly beautiful & epic Universe. These concentrated “spiritual” states can be so powerful that they are often life-changing. This is another source of the myriad benefits that arise from the simple practice of meditation. 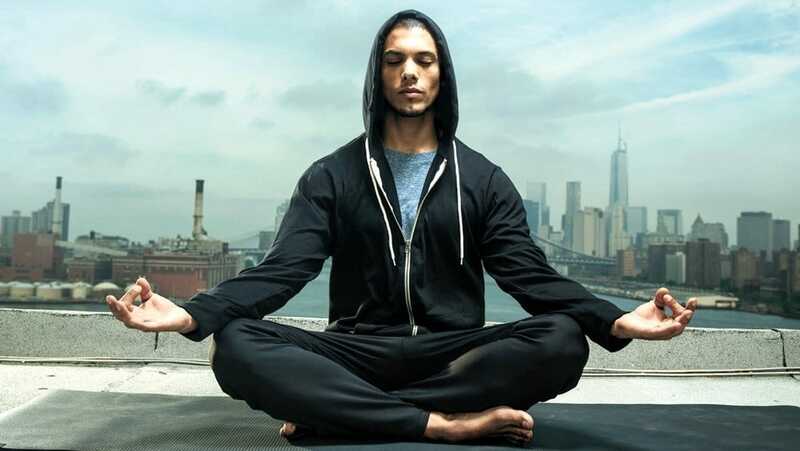 TL;DR: Meditation makes your brain work better. Also, BLISS!!! There are dozens of meditation techniques from around the world, and each one has its own unique set of benefits & experiences. For someone who wants to learn how to meditate, navigating all of that can be tricky and intimidating. We at MeditationMag have designed our meditation courses to be simple, direct, and to the point. We don’t adhere to any particular lineage or dogma — instead, we draw from all meditative traditions, from Advaita to Zen. We’ve spent a lot of time working to pinpoint and extract the most fundamental elements of meditation… the elements that are common to, and at the core of, all meditative practices from around the world. And we’ve distilled those fundamental elements into this ten-page QuickStart Guide. Get our 10-page QuickStart guide for free! Enter your email and we'll send the PDF directly to your inbox. Awesome sauce! Go check your email for that sweet sweet meditation. PreviousDoes being vegan really help animals?